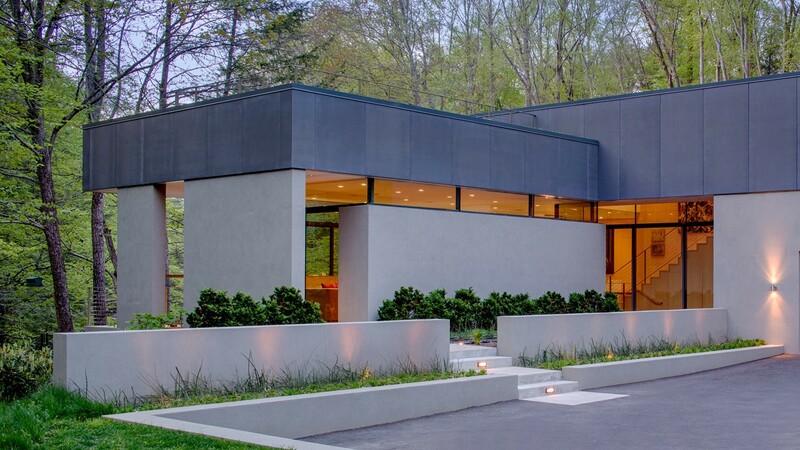 This 2400 square foot house in Weston, Connecticut was designed by Specht Harpman Architects, the geniuses behind the incredibly loved Manhattan Micro Loft. 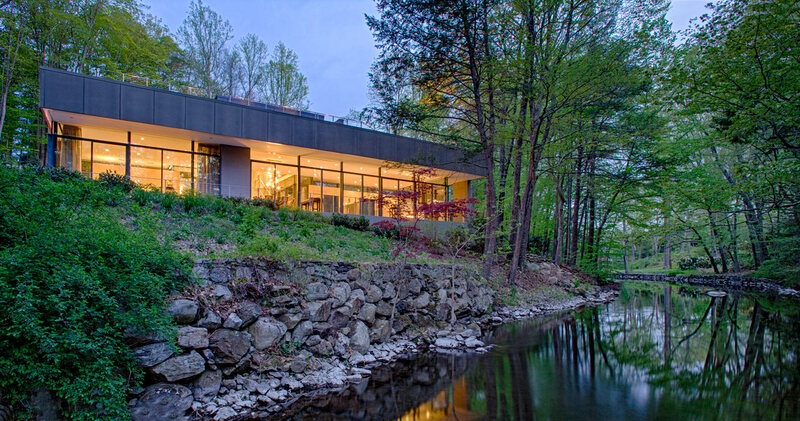 Nestled into a valley near Saugatuck River, the Weston Residence blends right into the surrounding natural environment. 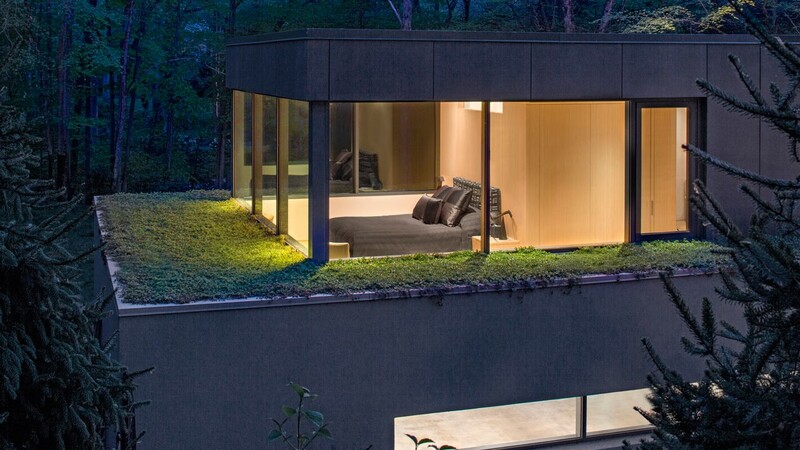 The flat rooftops are covered with year-round plants, giving the home a fifth facade not often thought about. 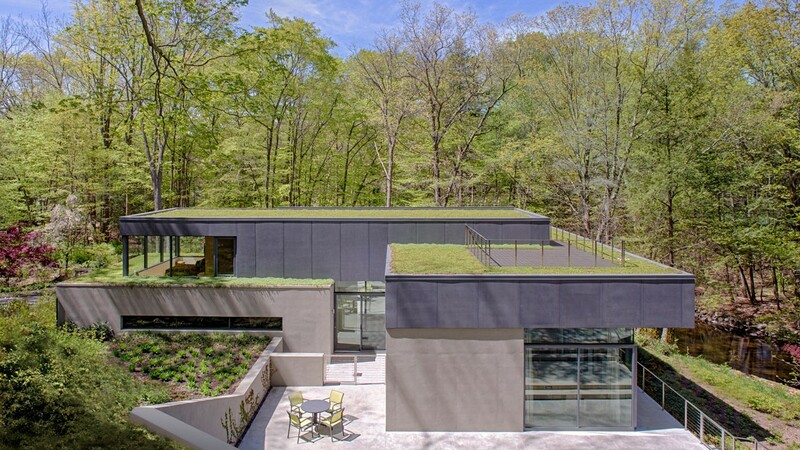 That facade plays a key role in the design as the road to the house begins on a cliff high above looking down onto the house. The bedrooms were thoughtfully placed to overlook the roof gardens giving the feeling of being immersed in the surrounding greenery.